Rev. 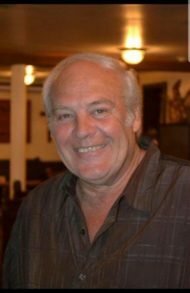 David K. Stoltzfus, 75, of Pequea Twp., passed away unexpectedly of natural causes, Sunday, February 3, 2019. Born in Ronks, David was the son of the late Samuel S. and Levina E. (King) Stoltzfus. He was the loving and faithful husband of Linda Sue (Hartz) Stoltzfus with whom he recently celebrated 50 years of marriage. David retired as a master drywall finisher and continued to work in his most important profession as pastor of The House of the Lord Mennonite Fellowship in Pequea Twp. David was a horse enthusiast and loved to listen to country music. More than anything, David loved spending time with his family, especially his grandchildren, who he loved to spoil. In addition to his wife, David is survived by his children: David, Jr., husband of Beth, of Glenwood Springs, CO; Kevin, husband of MaryJane, of Mountville; Kimberly Book, of Lancaster; Bryan, of Glenwood Springs, CO; Nathan, husband of Jana, of Lancaster; and Evangelyn Rodriguez, wife of Carlos, of Lancaster. He is also survived by 14 grandchildren; 2 great-grandchildren; and 8 siblings: Ann Albright, wife of Russ; John Stoltzfus, husband of Chris; Samuel, Jr.; Esther Lloyd, wife of Russell, III; Richard; Dottie Donnely, wife of Jim; Millie Stoltzfus; and Rose Shank, wife of Steve. Funeral Services for David will be held at 1PM, Saturday, February 9, 2019, at Pequea Church – Brethren in Christ, 40 Church Rd., Lancaster, PA 17603, with the Rev. Sam Smucker officiating. A viewing for family and friends will be held from 11AM to 1PM at the church. In lieu of flowers, memorial contributions may be made in David’s memory to The House of the Lord Mennonite Fellowship, 221 Shultz Rd., Lancaster, Pennsylvania 17603. You both provided a godly example and we so appreciate your gentle way of teaching truth in the early days of our Christian faith. Your love and encouragement back in the 70’s and your kindness and generous hospitality will stay with us forever. May God, in His compassion, return to you many sweet moments of peace and comfort during this season. Dear Linda, My heart is with you and your family, I know how hard it is losing your husband! Bryan really loved you and Dave and often talked of your times together. Linda Sue, Rose and Steve Shank, I remember the church services held in the barn turned into The House of the Lord. David was a gentle man with a compassion for people and a faith in God that made him the man he was. God bless you all. Nathan and family- We’re lifting you up and praying for peace and comfort during this difficult time. My heart goes out to you all. Please know Steve and I will be praying for you and Zion Church will hold you in prayer. I was shocked to hear about Dave and my heart was so sad. Dave’s love ❤️ for the Lord would shine to those around him. He just seemed so steady in his walk with Jesus. I know he must be loved by so many folks. We love you Linda and if we can do something I trust you will let us know.